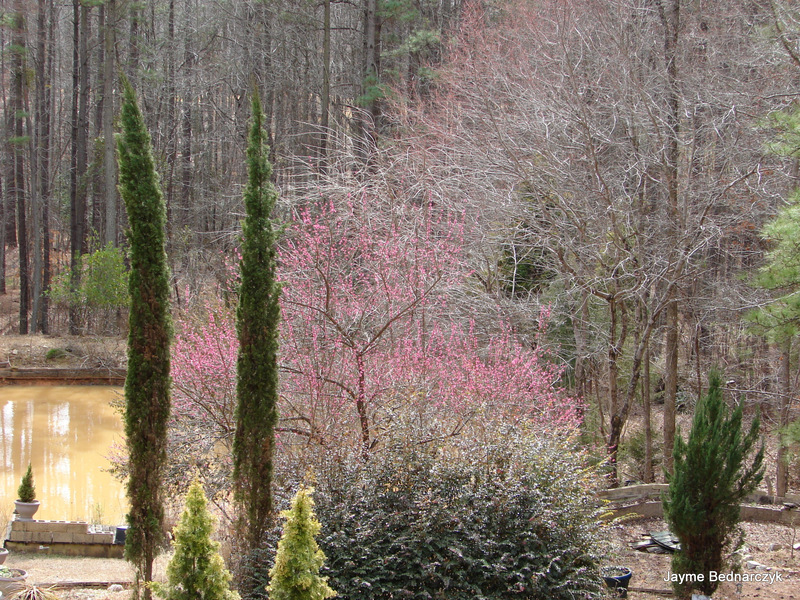 This entry was posted in color, Garden, Gratitude and tagged color, DPchallenge, gratitude, JC Raulston, JC Raulston Arboretum, Master Gardener, Plant, Prunus mume 'Kobai', winter garden. What a beauty! Really enjoyed your post. Thanks… Hope is in the air! Prunes mume (my husband, Tim, calls it Prunes moo moo) is a hands-down favorite here too. Have really been enjoying all the blooms in the last few days…especially camellias…hate the weather is going to be so cold the next two nights. The upside is less insects… I hope! I have been working to add more Camellias, have to build fortresses to protect from our deer friends! They are eating everything! Jayme, what a beautiful blog you have and thank you for visiting mine and re-blogging. 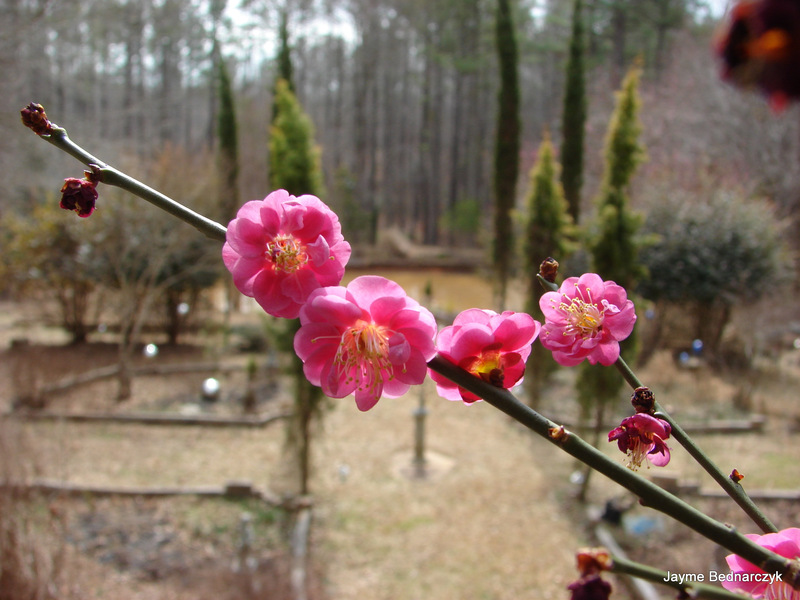 Your post on the Japanese flowering apricot made me miss England and the anticipation of spring after a long cold winter when the ground seems locked in frost and it’s hard to believe anything will grow. As you say, any plant that encourages you to leave the warmth of a fire and venture out into a frosty garden is worth having, and especially one as beautiful as Prunus mume. Long may you enjoy it and best wishes to you from the other side of the world. There are no chances… Reading several of your posts yesterday sent me marching with anticipation… Spring, a list of things to accomplish & more to be grateful about. Strength! As I bounded down the steps for the morning coffee, sunshine my cat of 19 years was seizing. I am grateful for you words… I a had grabbed one of my Mon’s towels to keep Luna warm… A treasured favorite with scalloped edges. Mom & Luna had been great friends. So I know she was watching over & happy that u was able to let go on so many levels. I have started a piece about other things that happened ad well… More to come… Off to take a healing walk at waters edge. So grateful!